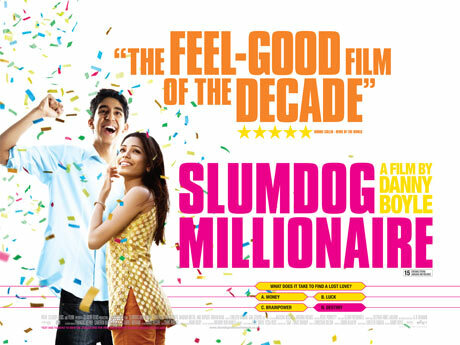 Yesterday Yewande and I previewed the Movie Slumdog MillionaireDirected by Danny Boyle, its a great movie with impeccable direction, an ingenious script and original storyline. The acting from our skins star Dev Patel and other young actors is what truly makes the movie. Together with its message of love it captures the raw essence of India-the colours-hustle and bustle-culture-struggle and happiness. One of the most overall excellent- stand up and give a round of applause movie I've seen in a long time. If your a real movie lover, who appreciates good plot, direction, casting and acting its definitely a must see! If not then your just a middle aged woman who watches the true stories channel on sky channel 321 surrounded by cats, and therefore why are you even on this blog??! !